During the summer, an Ocean Isle Beach vacation escape can be exactly what the doctor ordered. But don't let seasonal changes affect your vacationing plans. There are exciting things to do on the island during the off-season as there are regularly! 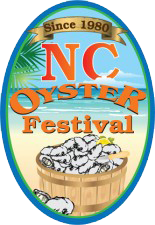 Take the North Carolina Oyster Festival for example. The Oyster Festival just celebrated its 38th year, and it's still going strong. The festival brings 45,000 people to Ocean Isle Beach for this event! In fact, it's so popular that the NC Association of Festivals and Events recognized this celebration as the Event of the Year in 2007. And it's not without reason. The Oyster Festival takes place on the third weekend in October each year, hosted by the Brunswick County Chamber of Commerce. Ocean Isle Beach's location on the southernmost tip North Carolina, allows for very mild, enjoyable weather this time of year. Maybe an ocean dip won't be ideal unless you're truly adventurous but there's still plenty to do. Most resorts and hotels become fully booked far in advance of the event. At Williamson Realty, we're proud to say that unlike other businesses around this time of year, our in-season rates stay constant. You can be sure that your Ocean Isle Beach vacation will remain at a manageable price. What draws everyone to the Oyster Festival? Well, take your pick of the attractions: the live local entertainment, the road race, kids' area, oyster-shucking championship, 120+ arts and crafts vendors, and the oyster stew cook-off, just to name a few. The road race includes 1 mile, 5k and 10k runs. And of course you'll have to get a taste of oyster stew, only 300 tickets are sold for this event, so hurry and get yours! If you're not a fan of oysters, that shouldn't stop you. Although they will, understandably, be the main dish of this festival, there are cheesecakes, homemade ice creams and Greek gyros sold at the many food vendors lining the streets. And of course, you have the traditional fair food: hot dogs, burgers, funnel cakes and iced lemonades. Whether you're a fan of oysters or not, October is a great time to take a trip to Ocean Isle Beach. Come get a taste!